Northwest Christian Writers Association - Laura Christianson - "Blog Your Way to a Book Deal"
Laura Christianson - "Blog Your Way to a Book Deal"
If you blog three times a week for a year, you’ll have published the equivalent of a full-length book. During this hands-on key-note, you’ll construct a 30-day plan for blogging a book. You’ll learn how to choose a marketable topic, craft engaging content, create a publication schedule, and establish an avid fan base. Your “blog book” will increase your visibility and credibility – and it just may pique the interest of an agent or editor. BIO: Laura Christianson helps business professionals who have moderate-to-severe Internet phobia become savvy social media marketers. 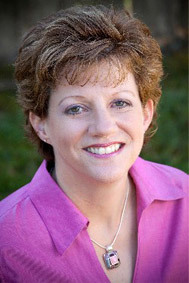 She owns Blogging Bistro (bloggingbistro.com), a Snohomish-based digital marketing company; she has authored three books and thousands of articles.